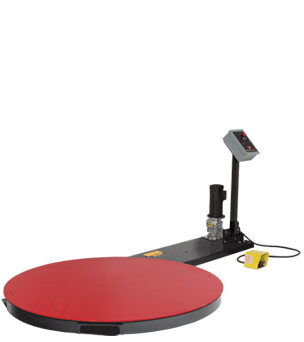 For low volume applications that require pallet jack loading the low profile 77201E-LPV economy wrapper is the solution. With the soft start and stop, loads will not shift or jerk and the speed can be adjusted for lighter loads. 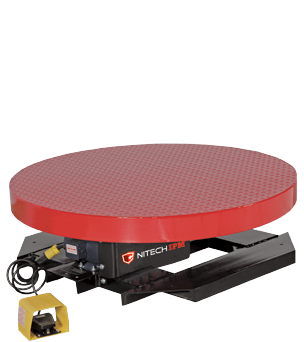 Just load the 48” round turntable, attach the film, set the turntable speed, press the footswitch and wrap the pallet as it turns. 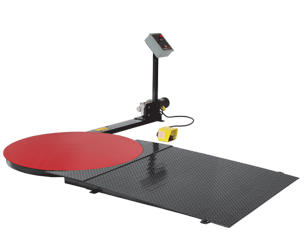 The easy access control panel allows the operator to adjust the speed as the load rotates. Our 77201E-LPV is forklift portable, simple to operate and will save time and material.